A close encounter with truly unique Australian wild animals. Do not miss the chance to visit Serendip Sanctuary and You Yangs Regional Park, two amazing natural parks where you will get the chance to observe the marsupials symbol of the Australian ecosystem. We leave the port behind us and head to Serendip Sanctuary, an amazing natural park populated by a mob of kangaroos located in the Western Plain area near Melbourne. We will be accompanied by an expert guide and we will have the chance to admire numerous eastern grey kangaroos in their natural habitat and observe many other local animals and birds. In the meantime, our guide will share some interesting information and stories on the park's animals. We then get back on our coach to reach the You Yangs Regional Park. 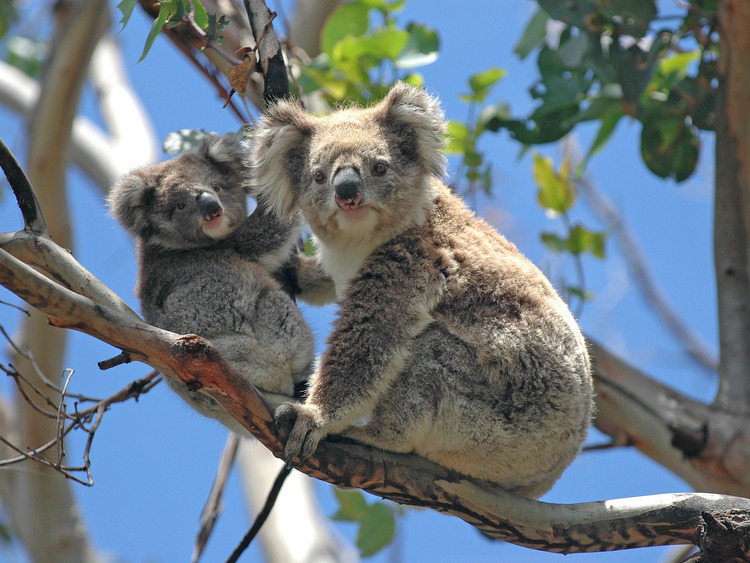 This tour gives us the chance to enjoy a close encounter with koalas surrounded by the striking Australian savannah. Here too, our guide will tell us all there is to know about these funny and truly unique marsupials. After our visit, the coach will take us back to the ship. Guests are required to follow the indications provided by the personnel to avoid injury and not to scare the animals. Guests may not wander around the grounds.